– You care too much about those kids. – They already have parents. – You are only here to teach them, if they have problems they can solve them elsewhere. – Can’t you just do your job and let go? I know that many educators reading this, because I know many who, think like this including myself, will not even ask themselves this question: how much should we care? I strongly believe and nothing will change my mind, that they are not only there for us to teach them the difference between Past Simple and Present Perfect Simple and then show them the door. We may teach them for several hours a week. Perhaps, only one or two hours, but they do manage to make a mark on our lives. I have been a teacher for eighteen years and I have seen many students, taught them and spent time with them. Some of them with a stable family life, with studying as their only worry. I truly hope everyone had this as their only worry (and not even a worry, but a pleasure, because that is what learning should be). Unfortunately, there are also students (not only kids and teenagers, but also adults) with family problems, a history of drug and alcohol abuse, eating disorders, mental health issues. Sometimes they do not even want to be helped, yelling at you to back off. And you try to get closer and help them. Sometimes it works, sometimes it doesn’t, and then we ponder about them through sleepless nights. Some of these students find their way out on their own, some do not have a good ending. 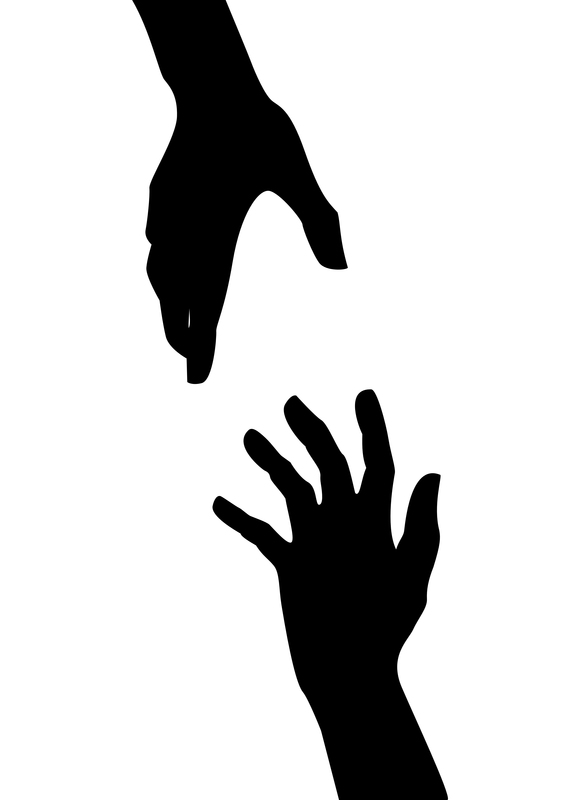 There are instances when they come to us on their own, asking for help. What are we to do? Tell them we are not allowed by our employer, or that we have enough problems of our own? I cannot even fathom it. Many teachers cannot think about it and directly think of ways to help these students. And I am happy and moved and proud to know numerous teachers like this, and this was one of the reasons I came up with the idea of The Human Touch as a concept not only for my very first plenary back in March, but as the very center to my life, as an educator, aunt, godmother, sister and ‘second mother’ as some call me. If we can even help one student, that is great -but I know we can help many many more. We can build a caring environment in the classroom, where not only the teacher cares about the students, but the students care for each other. Here is a beautiful post on edutopia.org, by Elena Aguilar, on How Classroom Environment Can Ignite Learning and Cultivate Caring. This post came into my head after reading an article on the great website Teaching Tolerance. Peter Elliott wrote a great blogpost there, called Eyes Wide Open and there are many more to read on the topic of caring. A huge thank you to Peter and educators like Peter who keep inspiring and caring for their students! Posted on December 20, 2014 December 5, 2015 by Vicky LorasPosted in life, The Human TouchTagged caregivers, life, parents, teaching, The Human Touch. I am absolutely with you in all you just said. Many of us care, and care too much…for good or for bad in some cases. These past years, I have seen many children left “on their own”. Why? Maybe because parents have to work all day, and some others think they should grow up and become more responsible for their own acts. Consequences: they are late for school almost every day and that means they have to sit for the subjects at the end of the school year as if they had never attended any of those classes. So, we talk to them, we encourage and “try” to guide them or give them the best piece of advice …what for?. Well, let me be honest, in the long run it does work and most of them are thankful because at least we do care, sometimes too much or maybe more than one of their direct relatives, just to avoid the word “parent” which I consider different to “parenthood”. keep on being a “second mom”, auntie, godmother and one of the most caring educators I have “met”. P.S. : Once again you kept me thinking! Thank you ever so much for your beautiful and thoughtful comment. This is not the only time I have seen you belong to those special educators who care for their kids. I admire you so much for that and I hope to meet you in person some day! 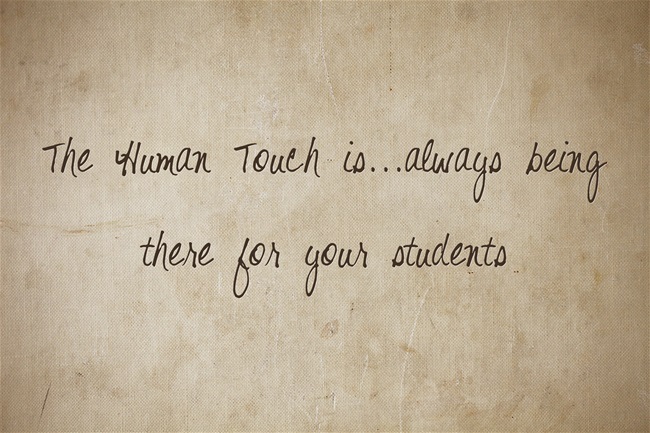 Keep spreading your Human Touch! You sure are, Fabiana and I will add your post at the end! Thank you so much for being who you are, the educator that you are, the mom and so many more! There is such power in showing deep care & concern for those we connect & interact with each and every day. I can’t imagine not building & fostering deep relationships with students that I learn alongside each and every day. Even our youngest learners need to know that someone is in their corner…a shoulder to lean on, a cheerleader, a mentor, someone who will ask the tough questions, an individual who clearly cares. It doesn’t always happen in real time, as you said, sometimes students can’t accept the support in that moment. But knowing that you are working towards making a difference IS what matters. My mantra for many years has always been ‘treat others the way you would want to be treated’… straightforward & critical. But lately I see that my own mantra has evolved and I feel more passionately that if ‘we each left the world a little better than we found it’ imagine what an amazing place it could truly be. I loved this post Vicky… such an important reminder. Wow, Jana! And thank you for such a wonderful comment – and what a great educator you are! Thanks for this Vicky. And it is not just our students who leave a mark on our lives, but we educators also leave a mark on theirs, sometimes whether we know it or not. And this mark can be a gentle, caring, encouraging, inspiring, one which builds self-confidence or it can be a harsh, uncaring, discouraging, uninspiring, one which stifles growth or even destroys a feeling of self-worth. I doubt there are many professions which can have the effect on lives that teaching can and we need to remember this every day and every time we deal with our students. I can only hope that learners who have passed through my hands have gone on with the feeling that they themselves are important, that their lives have value and that they have the capability of making a difference in the world. For me, that is the role of an educator and the message of educating. Marjorie, what a moving comment! You are right, we also leave a mark on their lives too. What a great profession we are in! Thank you so much for this beautiful comment. The ” Human Touch” has certainly touched my heart, Vicky! Thank you, Aphro mou! You are part of this too – I saw it on social media, and then I saw it with my own eyes in your classroom! You ARE SUPER! Thanks so much, Akevy! Beautiful thoughts and I am happy there are so many educators out there caring about their students. I think we get close as much at the hope of helping them as to fulfill our own need to help. And I think stopping would hurt both sides – so do not take that chance, keep trying to help!